"Arcane" and "Esoteric" redirect here. For other uses, see Arcane (disambiguation) and Esoteric (disambiguation). The idea of grouping a wide range of Western traditions and philosophies together under the category that is now termed esotericism developed in Europe during the late seventeenth century. Various academics have debated how to define Western esotericism, with a number of different options proposed. One scholarly model adopts its definition of "esotericism" from certain esotericist schools of thought themselves, treating "esotericism" as a perennialist hidden, inner tradition. A second perspective sees esotericism as a category that encompasses movements which embrace an "enchanted" world-view in the face of increasing disenchantment. A third views Western esotericism as a category encompassing all of Western culture's "rejected knowledge" that is accepted neither by the scientific establishment nor by orthodox religious authorities. The earliest traditions which later analysis would label as forms of Western esotericism emerged in the Eastern Mediterranean during Late Antiquity, where Hermetism, Gnosticism, and Neoplatonism developed as schools of thought distinct from what became mainstream Christianity. Renaissance Europe saw increasing interest in many of these older ideas, with various intellectuals combining "pagan" philosophies with the Kabbalah and Christian philosophy, resulting in the emergence of esoteric movements like Christian theosophy. The seventeenth century saw the development of initiatory societies professing esoteric knowledge such as Rosicrucianism and Freemasonry, while the Age of Enlightenment of the eighteenth century led to the development of new forms of esoteric thought. The nineteenth century saw the emergence of new trends of esoteric thought that have come to be known as occultism. Prominent groups in this century included the Theosophical Society and the Hermetic Order of the Golden Dawn. Modern Paganism developed within occultism, and includes religious movements such as Wicca. Esoteric ideas permeated the counterculture of the 1960s and later cultural tendencies, from which emerged the New Age phenomenon in the 1970s. Although the idea that these varying movements could be categorised together under the rubric of "Western esotericism" developed in the late eighteenth century, these esoteric currents were largely ignored as a subject of academic enquiry. The academic study of Western esotericism only emerged in the late twentieth-century, pioneered by scholars like Frances Yates and Antoine Faivre. Esoteric ideas have meanwhile also exerted an influence in popular culture, appearing in art, literature, film, and music. The noun "esotericism", in its French form "ésotérisme", first appeared in 1828  in the work by Jacques Matter [fr] (1791–1864), Histoire critique du gnosticisme (3 vols.). The term "esotericism" thus came into use in the wake of the Age of Enlightenment and of its critique of institutionalised religion, during which time alternative religious groups[example needed] began to disassociate themselves from the dominant Christianity in Western Europe. During the nineteenth and twentieth centuries, the term "esotericism" came to commonly be seen[by whom?] as something which was distinct from Christianity, and which had formed a subculture that had been at odds with the Christian mainstream from at least the time of the Renaissance. The French occultist and ceremonial magician Eliphas Lévi (1810–1875) popularized the term in the 1850s, and Theosophist Alfred Percy Sinnett (1840–1921) introduced it into the English language in his book Esoteric Buddhism (1883). Lévi also introduced the term l'occultisme, a notion that he developed against the background of contemporary socialist and Catholic discourses. "Esotericism" and "occultism" were often employed[by whom?] as synonyms until later scholars distinguished the concepts. 'Western esotericism' is not a natural term but an artificial category, applied retrospectively to a range of currents and ideas that were known by other names at least prior to the end of the eighteenth century. [This] means that, originally, not all those currents and ideas were necessarily seen as belonging together:... it is only as recently as the later seventeenth century that we find the first attempts at presenting them as one single, coherent field or domain, and at explaining what they have in common. In short, 'Western esotericism' is a modern scholarly construct, not an autonomous tradition that already existed out there and merely needed to be discovered by historians. — The scholar of esotericism Wouter Hanegraaff, 2013. The concept of "Western esotericism" is a modern scholarly construct rather than a pre-existing, self-defined tradition of thought. In the late seventeenth century, several European Christian thinkers presented the argument that certain traditions of Western philosophy and thought could be categorised together, thus establishing the category that is now called "Western esotericism". The first to do so was de: Ehregott Daniel Colberg (1659–1698), a German Lutheran who wrote Platonisch-Hermetisches Christianity (1690–91). A hostile critic of various currents of Western thought that had emerged since the Renaissance—among them Paracelsianism, Weigelianism, and Christian theosophy—in his book he labelled all of these traditions under the category of "Platonic–Hermetic Christianity", arguing that they were heretical to what he saw as true Christianity. Despite his hostile attitude toward these traditions of thought, he was the first to connect these disparate philosophies and study them under one rubric, also recognising that these ideas linked back to earlier philosophies from late antiquity. In Europe during the eighteenth century, amid the Age of Enlightenment, these esoteric traditions came to be regularly categorised under the labels of "superstition", "magic", and "the occult", terms which were often used interchangeably. The modern academy, which was then in the process of developing, consistently rejected and ignored topics coming under "the occult" and thus research into them was largely left to enthusiasts outside of academia. Indeed, according to historian of esotericism Wouter J. Hanegraaff (born 1961), rejection of "occult" topics was seen as a "crucial identity marker" for any intellectuals seeking to affiliate themselves with the academy. Scholars established this category in the late 18th century after identifying "structural similarities" between "the ideas and world views of a wide variety of thinkers and movements" which prior to this had not been placed in the same analytical grouping. According to the scholar of esotericism Wouter J. Hanegraaff, the term provided a "useful generic label" for "a large and complicated group of historical phenomena that had long been perceived as sharing an air de famille." Various academics have emphasised the idea that esotericism is a phenomenon unique to the Western world; as Faivre stated, an "empirical perspective" would hold that "esotericism is a Western notion". As scholars such as Faivre and Hanegraaff have pointed out, there is no comparable category of "Eastern" or "Oriental" esotericism. The emphasis on Western esotericism was nevertheless primarily devised to distinguish the field from a universal esotericism. Hanegraaff has characterised these as "recognisable world views and approaches to knowledge that have played an important although always controversial role in the history of Western culture." Historian of religion Henrik Bogdan asserted that Western esotericism constituted "a third pillar of Western culture" alongside "doctrinal faith and rationality", being deemed heretical by the former and irrational by the latter. Scholars nevertheless recognise that various non-Western traditions have exerted "a profound influence" over Western esotericism, citing the prominent example of the Theosophical Society's incorporation of Hindu and Buddhist concepts into its doctrines. Given these influences and the imprecise nature of the term "Western", the scholar of esotericism Kennet Granholm has argued that academics should cease referring to "Western esotericism" altogether, instead simply favouring "esotericism" as a descriptor of this phenomenon. This attitude was endorsed by Egil Asprem. The historian of esotericism Antoine Faivre noted that "never a precise term, [esotericism] has begun to overflow its boundaries on all sides", with both Faivre and Karen-Claire Voss stating that Western esotericism consists of "a vast spectrum of authors, trends, works of philosophy, religion, art, literature, and music". There is broad agreement among scholars as to which currents of thought can be placed within a category of "esotericism", ranging from ancient Gnosticism and Hermetism through to Rosicrucianism and the Kabbalah and on to more recent phenomenon such as the New Age movement. Nevertheless, "esotericism" itself remains a controversial term, with scholars specialising in the subject disagreeing as to how it can best be defined. A definition adopted by some scholars has used "Western esotericism" in reference to "inner traditions" which are concerned with a "universal spiritual dimension of reality, as opposed to the merely external ('exoteric') religious institutions and dogmatic systems of established religions." According to this approach, "Western esotericism" is viewed as just one variant of a worldwide "esotericism" which can be found at the heart of all world religions and cultures, reflecting a hidden esoteric reality. This usage of the term "esotericism" is closest to the original meaning of the word as it was used in late antiquity, where it was applied to secret spiritual teachings which were reserved for a specific elite and hidden from the masses. This definition was popularised in the published work of nineteenth-century esotericists like A.E. Waite, who sought to combine their own mystical beliefs with a historical interpretation of esotericism. It subsequently became a popular approach within several esoteric movements, most notably Martinism and Traditionalism. This definition—originally developed by esotericists themselves—became popular among French academics during the 1980s, exerting a strong influence over the scholars Mircea Eliade, Henry Corbin, and the early work of Faivre. Within the academic field of religious studies, those who study different religions in search of an inner, universal dimension to them all are termed "religionists". Such religionist ideas also exerted an influence on more recent scholars like Nicholas Goodrick-Clarke and Arthur Versluis. Versluis for instance defined "Western esotericism" as "inner or hidden spiritual knowledge transmitted through Western European historical currents that in turn feed into North American and other non-European settings". He added that these Western esoteric currents all shared a core characteristic, "a claim to gnosis, or direct spiritual insight into cosmology or spiritual insight", and accordingly he suggested that these currents could be referred to as "Western gnostic" just as much as "Western esoteric". There are various problems with this model for understanding Western esotericism. The most significant is that it rests upon the conviction that there really is a "universal, hidden, esoteric dimension of reality" that objectively exists. The existence of this universal inner tradition has not been discovered through scientific or scholarly enquiry; this had led some[who?] to claim that it does not exist, although Hanegraaff thought it better to adopt a view based in methodological agnosticism by stating that "we simply do not know - and cannot know" if it exists or not. He noted that, even if such a true and absolute nature of reality really existed, it would only be accessible through 'esoteric' spiritual practices, and could not be discovered or measured by the 'exoteric' tools of scientific and scholarly enquiry. Hanegraaff also highlighted that an attitude which seeks to uncover an inner hidden core of all esoteric currents masks the fact that such groups often contain significant differences from one another, being rooted in their own historical and social contexts, and expressing ideas and agendas which are mutually exclusive. A third issue was that many of those currents widely recognised as esoteric never concealed their teachings, and in the twentieth century came to permeate popular culture, thus problematizing the claim that esotericism could be defined by its hidden and secretive nature. Moreover, Hanegraaff noted that when scholars adopt this definition, it shows that they subscribe to the religious doctrines which are espoused by the very groups that they are studying. Another approach to Western esotericism has treated it as a world view that embraces 'enchantment' in contrast to world views influenced by post-Cartesian, post-Newtonian, and positivist science which have sought to 'dis-enchant' the world. Esotericism is therefore understood as comprising those world views which eschew a belief in instrumental causality and instead adopt a belief that all parts of the universe are interrelated without a need for causal chains. It therefore stands as a radical alternative to the disenchanted world views which have dominated Western culture since the scientific revolution, and must therefore always be at odds with secular culture. "Correspondences": This is the idea that there are both real and symbolic correspondences existing between all things within the universe. As examples for this, Faivre pointed to the esoteric concept of the macrocosm and microcosm, often presented as the dictum of "as above, so below", as well as the astrological idea that the actions of the planets have a direct corresponding influence on the behaviour of human beings. "Living Nature": Faivre argued that all esotericists envision the natural universe as being imbued with its own life force, and that as such they understand it as being "complex, plural, hierarchical". "Imagination and Mediations": Faivre believed that all esotericists place great emphasis on both the human imagination, and mediations – "such as rituals, symbolic images, mandalas, intermediary spirits" – and mantras as tools that provide access to worlds and levels of reality existing between the material world and the divine. "Experience of Transmutation": Faivre's fourth intrinsic characteristic of esotericism was the emphasis that esotericists place on fundamentally transforming themselves through their practice, for instance through the spiritual transformation that is alleged to accompany the attainment of gnosis. "Practice of Concordance": The first of Faivre's secondary characteristics of esotericism was the belief – held by many esotericists, such as those in the Traditionalist School – that there is a fundamental unifying principle or root from which all world religions and spiritual practices emerge. The common esoteric principle is that by attaining this unifying principle, the world's different beliefs can be brought together in unity. "Transmission": Faivre's second secondary characteristic was the emphasis on the transmission of esoteric teachings and secrets from a master to their discipline, through a process of initiation. Faivre's form of categorisation has been endorsed by scholars like Goodrick-Clarke, and by 2007 Bogdan could note that Faivre's had become "the standard definition" of Western esotericism in use among scholars. However, in 2013 the scholar Kennet Granholm stated only that Faivre's definition had been "the dominating paradigm for a long while" and that it "still exerts influence among scholars outside the study of Western esotericism". The advantage of Faivre's system is that it allows varying esoteric traditions to be compared "with one another in a systematic fashion". However, criticisms have also been expressed of Faivre's theory, pointing out its various weaknesses. Hanegraaff claimed that Faivre's approach entailed "reasoning by prototype" in that it relied upon already having a "best example" of what Western esotericism should look like, against which other phenomenon then had to be compared. The scholar of esotericism de: Kocku von Stuckrad (born 1966) noted that Faivre's taxonomy was based on his own areas of specialism – Renaissance Hermeticism, Christian Kabbalah, and Protestant Theosophy – and that it was thus not based on a wider understanding of esotericism as it has existed throughout history, from the ancient world to the contemporary period. Accordingly, Von Stuckrad suggested that it was a good typology for understanding "Christian esotericism in the early modern period" but lacked utility beyond that. Somewhat crudely, esotericism can be described as a Western form of spirituality that stresses the importance of the individual effort to gain spiritual knowledge, or gnosis, whereby man is confronted with the divine aspect of existence. — Historian of religion Henrik Bogdan, 2007. As an alternative to Faivre's framework, Von Stuckrad developed his own variant, although argued that this did not represent a "definition" but rather "a framework of analysis" for scholarly usage. He stated that "on the most general level of analysis", esotericism represented "the claim of higher knowledge", a claim to possessing "wisdom that is superior to other interpretations of cosmos and history" and which serves as a "master key for answering all questions of humankind". Accordingly, he believed that esoteric groups placed a great emphasis on secrecy, not because they were inherently rooted in elite groups but because the idea of concealed secrets that can be revealed was central to their discourse. Examining the means of accessing higher knowledge, he highlighted two themes that he believed could be found within esotericism, that of mediation through contact with non-human entities, and individual experience. Accordingly, for Von Stuckrad, esotericism could be best understood as "a structural element of Western culture" rather than as a selection of different schools of thought. An additional definition was proposed by Hanegraaff, and holds that "Western esotericism" is a category representing "the academy's dustbin of rejected knowledge." In this respect, it contains all of the theories and world views that have been rejected by the mainstream intellectual community because they do not accord with "normative conceptions of religion, rationality and science". His approach is rooted within the field of the history of ideas, and stresses the role of change and transformation over time. Goodrick-Clarke was critical of this approach, believing that it relegated Western esotericism to the position of "a casualty of positivist and materialist perspectives in the nineteenth-century" and thus reinforces the idea that Western esoteric traditions were of little historical importance. Bogdan similarly expressed concern regarding Hanegraaff's definition, believing that it made the category of Western esotericism "all inclusive" and thus analytically useless. The origins of Western esotericism are in the Hellenistic Eastern Mediterranean, then part of the Roman Empire, during Late Antiquity, a period encompassing the first centuries of the Common Era. This was a milieu in which there was a mix of religious and intellectual traditions from Greece, Egypt, the Levant, Babylon, and Persia, and in which globalisation, urbanisation, and multiculturalism were bringing about socio-cultural change. One component of this was Hermetism, an Egyptian Hellenistic school of thought that takes its name from the legendary Egyptian wise man, Hermes Trismegistus. 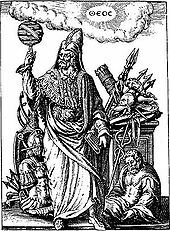 In the 2nd and 3rd centuries CE, a number of texts appeared which were attributed to Hermes Trismegistus, including the Corpus Hermeticum, Asclepius, and The Discourse on the Eighth and Ninth. Although it is still debated as to whether Hermetism was a purely literary phenomenon, or whether there were communities of practitioners who acted on these ideas, it has been established that these texts discuss the true nature of God, emphasising that humans must transcend rational thought and worldly desires in order to find salvation and be reborn into a spiritual body of immaterial light, thereby achieving spiritual unity with divinity. Another tradition of esoteric thought in Late Antiquity was Gnosticism, which had a complex relationship with Christianity. Various Gnostic sects existed, and they broadly believed that the divine light had been imprisoned within the material world by a malevolent entity known as the Demiurge, who was served by demonic helpers, the Archons. It was the Gnostic belief that humans, who were imbued with the divine light, should seek to attain gnosis and thus escape from the world of matter and rejoin the divine source. A third form of esotericism in Late Antiquity was Neoplatonism, a school of thought influenced by the ideas of the philosopher Plato. Advocated by such figures as Plotinus, Porphyry, Iamblichus, and Proclus, Neoplatonism held that the human soul had fallen from its divine origins into the material world, but that it could progress, through a number of hierarchical spheres of being, to return to its divine origins once more. The later Neoplatonists performed theurgy, a ritual practice attested in such sources as the Chaldean Oracles. Scholars are still unsure of precisely what theurgy involved, although it is known that it involved a practice designed to make gods appear, who could then raise the theurgist's mind to the reality of the divine. After the fall of Rome, alchemy and philosophy and other aspects of the tradition were largely preserved in the Arab and Near Eastern world and reintroduced into Western Europe by Jews and by the cultural contact between Christians and Muslims in Sicily and southern Italy. The 12th century saw the development of the Kabbalah in southern Italy and medieval Spain. The medieval period also saw the publication of grimoires, which offered often elaborate formulas for theurgy and thaumaturgy. Many of the grimoires seem to have kabbalistic influence. Figures in alchemy from this period seem to also have authored or used grimoires. During the Renaissance, a number of European thinkers began to synthesize "pagan" (that is, not Christian) philosophies, which were then being made available through Arabic translations, with Christian thought and the Jewish kabbalah. The earliest of these individuals was the Byzantine philosopher Plethon (1355/60–1452? ), who argued that the Chaldean Oracles represented an example of a superior religion of ancient humanity which had been passed down by the Platonists. Plethon's ideas interested the ruler of Florence, Cosimo de Medici, who employed Florentine thinker Marsilio Ficino (1433–1499) to translate Plato's works into Latin. Ficino went on to translate and publish the works of various Platonic figures, arguing that their philosophies were compatible with Christianity, and allowing for the emergence of a wider movement in Renaissance Platonism, or Platonic Orientalism. Ficino also translated part of the Corpus Hermeticum, although the rest would be translated by his contemporary, Lodovico Lazzarelli (1447–1500). Another core figure in this intellectual milieu was Giovanni Pico della Mirandola (1463–1494), who achieved notability in 1486 by inviting scholars from across Europe to come and debate the 900 theses that he had written with him. [clarification needed] Pico della Mirandola argued that all of these philosophies reflected a grand universal wisdom, however Pope Innocent VIII condemned these actions, criticising him for attempting to mix pagan and Jewish ideas with Christianity. Pico della Mirandola's increased interest in Jewish kabbalah led to his development of a distinct form of Christian Kabbalah. His work was built on by the German Johannes Reuchlin (1455–1522) who authored a prominent text on the subject, De Arte Cabbalistica. Christian Kabbalah was expanded in the work of the German Heinrich Cornelius Agrippa (1486–1535/36), who used it as a framework through which to explore the philosophical and scientific traditions of Antiquity in his work De occulta philosophia libri tres. The work of Agrippa and other esoteric philosophers had been based in a pre-Copernican worldview, but following the arguments of Copernicus, a more accurate understanding of the cosmos was established. Copernicus' theories were adopted into esoteric strains of thought by Giordano Bruno (1548–1600), whose ideas would be deemed heresy by the Roman Catholic Church, eventually resulting in his public execution. A distinct strain of esoteric thought developed in Germany, where it came to be known as Naturphilosophie; although influenced by traditions from Late Antiquity and Medieval Kabbalah, it only acknowledged two main sources of authority: Biblical scripture and the natural world. The primary exponent of this approach was Paracelsus (1493/94–1541), who took inspiration from alchemy and folk magic to argue against the mainstream medical establishment of his time which, as in Antiquity, still based its approach on the ideas of the second-century physician and philosopher, Galen, a Greek in the Roman Empire. Instead, Paracelsus urged doctors to learn medicine through an observation of the natural world, although in later work he also began to focus on overtly religious questions. His work would gain significant support in both areas over the following centuries. One of those influenced by Paracelsus was the German cobbler Jacob Böhme (1575–1624), who sparked the Christian theosophy movement through his attempts to solve the problem of evil. Böhme argued that God had been created out of an unfathomable mystery, the Ungrud, and that God himself composed of a wrathful core, surrounded by the forces of light and love. Although condemned by Germany's Lutheran authorities, Böhme's ideas spread and formed the basis for a number of small religious communities, such as Johann Georg Gichtel's Angelic Brethren in Amsterdam, and John Pordage and Jane Leade's Philadelphian Society in England. From 1614 to 1616, the three Rosicrucian Manifestos were published in Germany; these texts purported to represent a secret, initiatory brotherhood which had been founded centuries before by a German adept named Christian Rosenkreutz. There is no evidence that Rosenkreutz was a genuine historical figure, nor that a Rosicrucian Order had ever existed up to that point. Instead, the manifestos are likely literary creations of Lutheran theologian Johann Valentin Andreae (1586–1654). However, they inspired much public interest, with various individuals coming to describe themselves as "Rosicrucian" and claiming that they had access to secret, esoteric knowledge as a result. 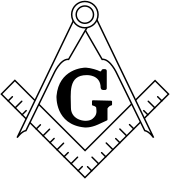 A real initiatory brotherhood was established in late 16th-century Scotland through the transformation of Medieval stonemason guilds to include non-craftsman: Freemasonry. Soon spreading into other parts of Europe, in England it largely rejected its esoteric character and embraced humanism and rationalism, while in France it embraced new esoteric concepts, particularly those from Christian theosophy. The Age of Enlightenment witnessed a process of increasing secularisation of European governments and an embrace of modern science and rationality within intellectual circles. In turn, a "modernist occult" emerged that reflected varied ways in which esoteric thinkers came to terms with these developments. One of the most prominent esotericists of this period was the Swedish naturalist Emanuel Swedenborg (1688–1772), who attempted to reconcile science and religion after experiencing a vision of Jesus Christ. His writings focused on his visionary travels to heaven and hell and his communications with angels, claiming that the visible, materialist world parallels an invisible spiritual world, with correspondences between the two that do not reflect causal relations. Following his death, followers would found the Swedenborgian New Church, although his writings would influence a far wider array of esoteric philosophies. Another major figure within the esoteric movement of this period was the German physician Franz Anton Mesmer (1734–1814), who developed the theory of Animal Magnetism, which later came to be known more commonly as "Mesmerism". Mesmer claimed that a universal life force permeated everything, including the human body, and that illnesses were caused by a disturbance or block in this force's flow; he developed techniques which he claimed cleansed such blockages and restored the patient to full health. One of Mesmer's followers, the Marquis de Puységur, discovered that mesmeric treatment could induce a state of somnumbulic trance in which they claimed to enter visionary states and communicate with spirit beings. These somnumbulic trance-states would heavily influence the esoteric religion of Spiritualism, which emerged from the United States in the 1840s and spread throughout North American and Europe. Spiritualism was based on the concept that individuals could communicate with spirits of the deceased during séances. Although most forms of Spiritualism had little theoretical depth, being largely practical affairs, full theological worldviews based on the movement would be articulated by Andrew Jackson Davis (1826–1910) and Allan Kardec (1804–1869). Scientific interest in the claims of Spiritualism resulted in the development of the field of psychical research. Somnambulism also exerted a strong influence on the early disciplines of psychology and psychiatry; esoteric ideas purvey the work of many early figures in this field, most notably Carl Gustav Jung, although with the rise of psychoanalysis and behaviourism in the 20th century, these disciplines distanced themselves from esotericism. Also influenced by artificial somnambulism was the religion of New Thought, founded by the American Mesmerist Phineas P. Quimby (1802–1866) and which revolved around the concept of "mind over matter", believing that illness and other negative conditions could be cured through the power of belief. In Europe, a movement usually termed "occultism" emerged as various figures attempted to find a "third way" between Christianity and positivist science while building on the ancient, medieval, and Renaissance traditions of esoteric thought. In France, following the social upheaval of the 1789 Revolution, various figures emerged in this occultist milieu who were heavily influenced by traditional Catholicism, the most notable of whom were Eliphas Lévi (1810–1875) and Papus (1865–1916). Also significant was René Guénon (1886–1951), whose concern with tradition led him to develop an occult viewpoint termed Traditionalism; it espoused the idea of an original, universal tradition, and thus a rejection of modernity. His Traditionalist ideas would have a strong influence on later esotericists like Julius Evola (1898–1974) and Frithjof Schuon (1907–1998). In the Anglophone world, the burgeoning occult movement owed more to Enlightenment libertines, and thus was more often of an anti-Christian bent that saw wisdom as emanating from the pre-Christian pagan religions of Europe. Various Spiritualist mediums came to be disillusioned with the esoteric thought available, and sought inspiration in pre-Swedenborgian currents; the most prominent of these were Emma Hardinge Britten (1823–1899) and Helena Blavatsky (1831–1891), the latter of whom called for the revival of the "occult science" of the ancients, which could be found in both the East and West. Authoring the influential Isis Unveiled (1877) and The Secret Doctrine (1888), she co-founded the Theosophical Society in 1875. Subsequent leaders of the Society, namely Annie Besant (1847–1933) and Charles Webster Leadbeater (1854–1934) interpreted modern theosophy as a form of ecumenical esoteric Christianity, resulting in their proclamation of Indian Jiddu Krishnamurti (1895–1986) as world messiah. In rejection of this was the breakaway Anthroposophical Society founded by Rudolf Steiner (1861–1925). New esoteric understandings of magic also developed in the latter part of the 19th century. One of the pioneers of this was American Paschal Beverly Randolph (1825–1875), who argued that sexual energy and psychoactive drugs could be used for magical purposes. In England, the Hermetic Order of the Golden Dawn, an initiatory order devoted to magic which based itself on an understanding of kabbalah, was founded in the latter years of the century. One of the most prominent members of that order was Aleister Crowley (1875–1947), who went on to proclaim the religion of Thelema and become a prominent member of the Ordo Templi Orientis. Some of their contemporaries developed esoteric schools of thought that did not entail magic, namely the Greco-Armenian teacher George Gurdjieff (1866–1949) and his Russian pupil P.D. Ouspensky (1878–1947). Emergent occult and esoteric systems found increasing popularity in the early 20th century, especially in Western Europe. Occult lodges and secret societies flowered among European intellectuals of this era who had largely abandoned traditional forms of Christianity. The spreading of secret teachings and magic practices found enthusiastic adherents in the chaos of Germany during the interwar years. Notable writers such as Guido von List spread neo-pagan, nationalist ideas, based on Wotanism and the Kabbalah. Many influential and wealthy Germans were drawn to secret societies such as the Thule Society. Thule Society activist Karl Harrer was one of the founders of the German Workers' Party, which later became the Nazi Party; some Nazi Party members like Alfred Rosenberg and Rudolf Hess were listed as "guests" of the Thule Society, as was Adolf Hitler's mentor Dietrich Eckart. After their rise to power, the Nazis persecuted occultists. While many Nazi Party leaders like Hitler and Joseph Goebbels were hostile to occultism, Heinrich Himmler used Karl Maria Wiligut as a clairvoyant "and was regularly consulting for help in setting up the symbolic and ceremonial aspects of the SS" but not for important political decisions. By 1939, Wiligut was "forcibly retired from the SS" due to being institutionalised for insanity. On the other hand, the German hermetic magic order Fraternitas Saturni was founded on Easter 1928 and it is one of the oldest continuously running magical groups in Germany. In 1936, the Fraternitas Saturni was prohibited by the Nazi regime. The leaders of the lodge emigrated in order to avoid imprisonment, but in the course of the war Eugen Grosche, one of their main leaders, was arrested for a year by the Nazi government. After World War II they reformed the Fraternitas Saturni. In the 1960s and 1970s, esotericism came to be increasingly associated with the growing counter-culture in the West, whose adherents understood themselves in participating in a spiritual revolution that would mark the Age of Aquarius. By the 1980s, these currents of millenarian currents had come to be widely known as the New Age movement, and it became increasingly commercialised as business entrepreneurs exploited a growth in the spiritual market. Conversely, other forms of esoteric thought retained the anti-commercial and counter-cultural sentiment of the 1960s and 1970s, namely the techno-shamanic movement promoted by figures such as Terence McKenna and Daniel Pinchbeck which built on the work of anthropologist Carlos Castaneda. This trend was accompanied by the increased growth of modern Paganism, a movement initially dominated by Wicca, the religion propagated by Gerald Gardner. Wicca was adopted by members of the second-wave feminist movement, most notably Starhawk, and developing into the Goddess movement. Wicca also greatly influenced the development of Pagan neo-druidry and other forms of Celtic revivalism. In response to Wicca there has also appeared literature and groups who label themselves followers of traditional witchcraft in opposition to the growing visibility of Wicca and these claim older roots than the system proposed by Gerald Gardner. Other trends which emerged in western occultism in the later 20th century were satanism as exposed by groups such as the Church of Satan and Temple of Set, as well as chaos magick through the Illuminates of Thanateros group. In 2013, Asprem and Granholm highlighted that "contemporary esotericism is intimately, and increasingly, connected with popular culture and new media." Granholm noted that esoteric ideas and images could be found in many aspects of Western popular media, citing such examples as Buffy the Vampire Slayer, Avatar, Hellblazer, and His Dark Materials. Granholm has argued that there are problems with the field in that it draws a distinction between esotericism and non-esoteric elements of culture which draw upon esotericism; citing the example of extreme metal, he noted that it was incredibly difficult to differentiate between those artists who were "properly occult" and those who simply utilised occult themes and aesthetics in "a superficial way". Writers interested in occult themes have adopted three different strategies for dealing with the subject: those who are knowledgeable on the subject including attractive images of the occult and occultists in their work, those who disguise occultism within "a web of intertextuality", and those who oppose it and seek to deconstruct it. The academic study of Western esotericism was pioneered in the early 20th century by historians of the ancient world and the European Renaissance, who came to recognise that – although it had been ignored by previous scholarship – the effect which pre-Christian and non-rational schools of thought had exerted on European society and culture was worthy of academic attention. One of the key centres for this was the Warburg Institute in London, where scholars like Frances Yates, Edgar Wind, Ernst Cassirer, and D. P. Walker began arguing that esoteric thought had had a greater effect on Renaissance culture than had been previously accepted. The work of Yates in particular, most notably her 1964 book Giordano Bruno and the Hermetic Tradition, has been cited as "an important starting-point for modern scholarship on esotericism", succeeding "at one fell swoop in bringing scholarship onto a new track" by bringing wider awareness of the effect that esoteric ideas had on modern science. At the instigation of the scholar Henry Corbin, in 1965 the world's first academic post in the study of esotericism was established at the École pratique des hautes études in the Sorbonne, Paris; named the chair in the History of Christian Esotericism, its first holder was François Secret, a specialist in the Christian Kabbalah, although he had little interest in developing the wider study of esotericism as a field of research. In 1979 Faivre assumed Secret's chair at the Sorbonne, which was renamed the "History of Esoteric and Mystical Currents in Modern and Contemporary Europe". Faivre has since been cited as being responsible for developing the study of Western esotericism into a formalised field, with his 1992 work L'ésotérisme having been cited as marking "the beginning of the study of Western esotericism as an academic field of research". He remained in the chair until 2002, when he was succeeded by Jean-Pierre Brach. Faivre noted that there were two significant obstacles to establishing the field. One was that there was an engrained prejudice towards esotericism within academia, resulting in the widespread perception that the history of esotericism was not worthy of academic research. The second was that esotericism is a trans-disciplinary field, the study of which did not fit clearly within any particular discipline. As Hanegraaff noted, Western esotericism had to be studied as a separate field to religion, philosophy, science, and the arts, because while it "participates in all these fields" it does not squarely fit into any of them. Elsewhere, he noted that there was "probably no other domain in the humanities that has been so seriously neglected" as Western esotericism. In 1980, the U.S.-based Hermetic Academy was founded by Robert A. McDermott as an outlet for American scholars interested in Western esotericism. From 1986 to 1990 members of the Hermetic Academy participated in panels at the annual meeting of the American Academy of Religion under the rubric of the "Esotericism and Perennialism Group". By 1994, Faivre could comment that the academic study of Western esotericism had taken off in France, Italy, England, and the United States, but he lamented the fact that it had not done so in Germany. In 1999, the University of Amsterdam established a chair in the "History of Hermetic Philosophy and Related Currents", which was occupied by Hanegraaff, while in 2005 the University of Exeter created a chair in "Western Esotericism", which was taken by Goodrick-Clarke, who headed the Exeter Center for the Study of Esotericism. Thus, by 2008 there were three dedicated university chairs in the subject, with Amsterdam and Exeter also offering master's degree programs in it. Several conferences on the subject were held at the quintennial meetings of the International Association for the History of Religions, while a peer-reviewed journal, Aries: Journal for the Study of Western Esotericism began publication in 2001. 2001 also saw the foundation of the North American Association for the Study of Esotericism (ASE), with the European Society for the Study of Western Esotericism (ESSWE) being established shortly after. 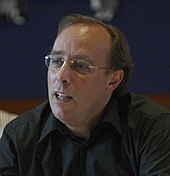 Within a few years, Michael Bergunder expressed the view that it had become an established field within religious studies, with Asprem and Granholm observing that scholars within other sub-disciplines of religious studies had begun to take an interest in the work of scholars of esotericism. Asprem and Granholm noted that the study of esotericism had been dominated by historians and thus lacked the perspective of social scientists examining contemporary forms of esotericism, a situation that they were attempting to correct through building links with scholars operating in Pagan studies and the study of new religious movements. On the basis of the fact that "English culture and literature have been traditional strongholds of Western esotericism", in 2011 Pia Brînzeu and György Szönyi urged that English studies also have a role in this interdisciplinary field. Emic denotes the believer’s point of view. On the part of the researcher, the reconstruction of this emic perspective requires an attitude of empathy which excludes personal biases as far as possible. Scholarly discourse about religion, on the other hand, is not emic but etic. Scholars may introduce their own terminology and make theoretical distinctions which are different from those of the believers themselves. Esotericism, given all its varied forms and its inherently multidimensional nature, cannot be conveyed without going beyond purely historical information: at minimum, the study of esotericism, and in particular mysticism, requires some degree of imaginative participation in what one is studying. Many scholars of esotericism have come to be regarded as respected intellectual authorities by practitioners of various esoteric traditions. Although many scholars of esotericism have sought to emphasise that "esotericism" is not a single object, practitioners who are reading this scholarship have begun to regard it and think of it as a singular object, with which they affiliate themselves. Thus, Asprem and Granholm noted that the use of the term "esotericism" among scholars "significantly contributes to the reification of the category for the general audience – despite the explicated contrary intentions of most scholars in the field." ^ Brian Morris, Religion and Anthropology: A Critical Introduction, Cambridge University Press, 2006, p. 298. ^ Hanegraaff, Wouter J. (2013). "What is Western esotericism?". Western Esotericism: A Guide for the Perplexed. Guides for the Perplexed. London: Bloomsbury Academic. p. 3. ISBN 978-1-4411-8897-7. Retrieved 2018-11-11. The adjective 'esoteric' first appeared in the second century CE [...]. ^ Von Stuckrad 2005b, p. 80; Hanegraaff 2013a, p. 3. ^ Von Stuckrad 2005a, p. 2. ^ a b Hanegraaff 1996, p. 384. ^ Compare: Hanegraaff, Wouter J. (2013). "What is Western esotericism?". Western Esotericism: A Guide for the Perplexed. Guides for the Perplexed. London: Bloomsbury Academic. p. 3. ISBN 978-1-4411-8897-7. Retrieved 2018-11-11. The adjective 'esoteric' first appeared in the second century CE, but the substantive is of relatively recent date: it seems to have been coined in German (Esoterik) in 1792, migrated to French scholarship (l'estoterisme) by 1828 and appeared in English in 1883. [...] In short, 'Western esotericism' is a modern scholarly construct, not an autonomous tradition that already existed out there and merely needed to be discovered by historians. ^ a b c Von Stuckrad 2005b, p. 80. ^ Strube 2016a; Strube 2016b. ^ a b c Hanegraaff 1996, p. 385. ^ a b Hanegraaff 2013a, p. 3. ^ Von Stuckrad 2005b, p. 88; Bogdan 2007, p. 6; Hanegraaff 2013a, p. 3. ^ Hanegraaff 2012, p. 78. ^ Hanegraaff 2012, p. 107. ^ Hanegraaff 2012, pp. 107–108. ^ Hanegraaff 2012, p. 230. ^ a b Hanegraaff 2012, p. 221. ^ Faivre 1994, p. 17. ^ Faivre 1994, p. 6; Hanegraaff 2013a, pp. 14–15. ^ Asprem 2014, p. 8. ^ a b c Hanegraaff 2013a, p. 13. ^ Bogdan 2007, p. 7. ^ Bogdan 2013, p. 177. ^ Granholm 2013a, pp. 31–32. ^ Asprem 2014, p. 4. ^ Faivre 1994, p. 3. ^ Faivre & Voss 1995, pp. 48–49. ^ a b Von Stuckrad 2005b, p. 79. ^ Hanegraaff 2013a, pp. 10–12. ^ a b c d e Hanegraaff 2013a, p. 11. ^ Hanegraaff 2013a, p. 10. ^ Hanegraaff 2012, p. 251. ^ a b Hanegraaff 2013b, p. 178. ^ a b Versluis 2007, p. 1. ^ Versluis 2007, p. 2. ^ Hanegraaff 2013a, pp. 11–12. ^ Hanegraaff 2013a, p. 12. ^ Hanegraaff 1996, p. 385; Von Stuckrad 2005b, p. 81. ^ a b c Hanegraaff 2013a, p. 5. ^ Hanegraaff 2013a, p. 7. ^ Hanegraaff 2013a, pp. 6–7. ^ Von Stuckrad 2005a, p. 3; Bogdan 2007, p. 10; Hanegraaff 2013a, pp. 3–4. ^ Faivre 1994, p. 10; Von Stuckrad 2005a, p. 4; Bergunder 2010, p. 14; Hanegraaff 2013a, p. 3. ^ Faivre 1994, p. 10; Hanegraaff 1996, p. 398; Von Stuckrad 2005a, p. 4; Versluis 2007, p. 7. ^ Faivre 1994, pp. 10–11. ^ Faivre 1994, p. 11; Hanegraaff 1996, p. 398; Von Stuckrad 2005a, p. 4; Versluis 2007, p. 7. ^ Faivre 1994, p. 12; Hanegraaff 1996, pp. 398–399; Von Stuckrad 2005a, p. 4; Versluis 2007, p. 7. ^ Faivre 1994, p. 13; Hanegraaff 1996, pp. 399–340; Von Stuckrad 2005a, p. 4; Versluis 2007, p. 7. ^ Faivre 1994, p. 14; Hanegraaff 1996, p. 400; Von Stuckrad 2005a, p. 4; Versluis 2007, p. 8. ^ Faivre 1994, pp. 14–15; Hanegraaff 1996, p. 400; Von Stuckrad 2005a, p. 4; Versluis 2007, p. 8. ^ Goodrick-Clarke 2008, pp. 7–10. ^ Bogdan 2007, p. 10. ^ Granholm 2013b, p. 8. ^ Von Stuckrad 2005a, p. 4. ^ Von Stuckrad 2005a, p. 5; Hanegraaff 2013a, p. 3. ^ Hanegraaff 2013a, pp. 4–5. ^ Von Stuckrad 2005a, p. 5. ^ Von Stuckrad 2005b, p. 83. ^ Bogdan 2007, p. 5. ^ Von Stuckrad 2005b, p. 93. ^ Von Stuckrad 2005b, p. 88. ^ Von Stuckrad 2005b, p. 89. ^ Von Stuckrad 2005b, pp. 91–92. ^ Bergunder 2010, p. 18. ^ a b Goodrick-Clarke 2008, p. 4. ^ Bogdan 2007, p. 15. ^ Goodrick-Clarke 2008, pp. 3, 15; Hanegraaff 2013a, p. 18. ^ Goodrick-Clarke 2008, p. 13; Hanegraaff 2013a, p. 18. ^ Versluis 2007, p. 24; Goodrick-Clarke 2008, p. 16–20; Hanegraaff 2013a, p. 19. ^ a b Goodrick-Clarke 2008, p. 16–20; Hanegraaff 2013a, p. 19. ^ Faivre 1994, p. 53; Goodrick-Clarke 2008, pp. 27–29; Hanegraaff 2013a, pp. 19–20. ^ Faivre 1994, p. 52; Goodrick-Clarke 2008, pp. 20–27. ^ Goodrick-Clarke 2008, p. 25; Hanegraaff 2013a, pp. 20–21. ^ Hanegraaff 2013a, p. 25. ^ Hanegraaff 2013a, p. 26. ^ Faivre 1994, p. 58; Hanegraaff 2013a, pp. 26–27. ^ Hanegraaff 2013a, p. 27. ^ Hanegraaff 2013a, pp. 27–28. ^ Hanegraaff 2013a, pp. 28–29. ^ Hanegraaff 2013a, p. 29. ^ Hanegraaff 2013a, p. 30. ^ Hanegraaff 2013a, p. 31. ^ Faivre 1994, pp. 61–63; Hanegraaff 2013a, pp. 30–31. ^ Faivre 1994, pp. 63–64; Hanegraaff 2013a, p. 32. ^ Hanegraaff 2013a, pp. 32–33. ^ Faivre 1994, pp. 64–66; Hanegraaff 2013a, pp. 33–34. ^ Hanegraaff 2013a, pp. 35–36. ^ Hanegraaff 2013a, p. 36. ^ Faivre 1994, p. 72; Hanegraaff 2013a, p. 37. ^ Faivre 1994, pp. 76–77; Hanegraaff 2013a, pp. 37–38. ^ a b c Hanegraaff 2013a, p. 38. ^ Faivre 1994, p. 87; Hanegraaff 2013a, p. 38. ^ Hanegraaff 2013a, pp. 38–39. ^ a b Hanegraaff 2013a, p. 39. ^ Strube 2016a; Hanegraaff 2013a. ^ a b c Hanegraaff 2013a, p. 40. ^ Faivre 1994, pp. 93–94; Hanegraaff 2013a, pp. 40–41. ^ a b c Hanegraaff 2013a, p. 41. ^ Faivre 1994, p. 91; Hanegraaff 2013a, p. 41. ^ Hanegraaff 2013a, pp. 41–42. ^ Hanegraaff 2013a, p. 42. ^ Nicholas Goodrick-Clarke: The Occult Roots of Nazism. London: Tauris Parke Paperbacks 2005, p. 149. ^ Corinna Treitel: A Science for the Soul: Occultism and the Genesis of the German Modern. Baltimore: The Johns Hopkins University Press 2004, p. 220. ^ Corinna Treitel: A Science for the Soul: Occultism and the Genesis of the German Modern. Baltimore: The Johns Hopkins University Press 2004, pp. 215ff. ^ a b c Hanegraaff 2013a, p. 43. ^ a b c Hanegraaff 2013a, p. 44. ^ Robert Cochrane and the Gardnerian Craft: Feuds, Secrets, and Mysteries in Contemporary British Witchcraft Ethan Doyle White. The Pomegranate: The International Journal of Pagan Studies. 2011. pp. 205–206. ^ Asprem & Granholm 2013, p. 6. ^ Granholm 2013a, p. 31. ^ Granholm 2013b, pp. 8–9. ^ Brînzeu & Szönyi 2011, p. 185. ^ Goodrick-Clarke 2008, pp. 4–5. ^ a b Von Stuckrad 2005a, p. 3. ^ Faivre 1994, p. ix; Von Stuckrad 2005a, p. 3; Von Stuckrad 2005b, p. 81; Bergunder 2010, p. 11. ^ Faivre 1994, p. x; Von Stuckrad 2005a, p. 3; Von Stuckrad 2005b, p. 81; Bergunder 2010, p. 12. ^ Versluis 2007, p. 6; Goodrick-Clarke 2008, p. 5. ^ Hanegraaff 2013b, p. 179. ^ a b Faivre 1994, p. ix. ^ Faivre 1994, p. ix; Versluis 2007, p. 6. ^ Hanegraaff 2013a, pp. 1–2. ^ Hanegraaff 2013b, p. 198. ^ a b Faivre 1994, p. x; Faivre & Voss 1995, p. 59. ^ Von Stuckrad 2005a, p. 3; Von Stuckrad 2005b, p. 81; Bergunder 2010, p. 12–13. ^ Von Stuckrad 2005a, p. 3; Versluis 2007, p. 7. ^ Goodrick-Clarke 2008, p. 3. ^ a b Von Stuckrad 2005b, p. 81. ^ Versluis 2007, p. 6. ^ Bergunder 2010, p. 9. ^ Asprem & Granholm 2013, p. 1. ^ Asprem & Granholm 2013, pp. 3–4. ^ Brînzeu & Szönyi 2011, p. 184. ^ Wouter J. Hanegraaff, New Age Religion and Western Culture. Esotericism in the Mirror of Secular Thought, Albany: State University of New York Press, 1998, 6. ^ Arthur Versluis, “Methods in the Study of Esotericism, Part II: Mysticism and the Study of Esotericism”, in Esoterica, Michigan State University, V, 2003, 27-40. ^ Asprem & Granholm 2013b, p. 44. ^ Asprem & Granholm 2013b, pp. 43–44. ^ Asprem & Granholm 2013b, p. 45. Asprem, Egil (2014). "Beyond the West: Towards a New Comparativism in the Study of Esotericism". Correspondences: An Online Journal for the Academic Study of Western Esotericism. 2 (1): 3–33. Asprem, Egil; Granholm, Kennet (2013). "Introduction". Contemporary Esotericism. Egil Asprem and Kennet Granholm (editors). Durham: Acumen. pp. 1–24. ISBN 978-1-317-54357-2. Asprem, Egil; Granholm, Kennet (2013b). "Constructing Esotericisms: Sociological, Historical and Critical Approaches to the Invention of Tradition". Contemporary Esotericism. Egil Asprem and Kennet Granholm (editors). Durham: Acumen. pp. 25–48. ISBN 978-1-317-54357-2. Bergunder, Michael (2010). Kenneth Fleming (translator). "What is Esotericism? Cultural Studies Approaches and the Problems of Definition in Religious Studies". Method and Theory in the Study of Religion. 22: 9–36. doi:10.1163/094330510X12604383550882. Bogdan, Henrik (2007). Western Esotericism and Rituals of Initiation. New York: SUNY Press. ISBN 978-0-7914-7070-1. Bogdan, Henrik (2013). "Reception of Occultism in India: The Case of the Holy Order of Krishna". Occultism in a Global Perspective. Henrik Bogdan and Gordan Djurdjevic (editors). Durham: Acumen. pp. 177–201. ISBN 978-1-84465-716-2. Brînzeu, Pia; Szönyi, György (2011). "The Esoteric in Postmodernism". European Journal of English Studies. 15 (3): 183–188. doi:10.1080/13825577.2011.626934. Faivre, Antoine (1994). Access to Western Esotericism. New York: SUNY Press. ISBN 978-0-7914-2178-9. Faivre, Antoine; Voss, Karen-Claire (1995). "Western Esotericism and the Science of Religions". Numen. 42 (1): 48–77. doi:10.1163/1568527952598756. JSTOR 3270279. Goodrick-Clarke, Nicholas (2008). The Western Esoteric Traditions: A Historical Introduction. Oxford: Oxford University Press. ISBN 978-0-19-532099-2. Granholm, Kennet (2013a). "Locating the West: Problematizing the Western in Western Esotericism and Occultism". Occultism in a Global Perspective. Henrik Bogdan and Gordan Djurdjevic (editors). Durham: Acumen. pp. 17–36. ISBN 978-1-84465-716-2. Granholm, Kennet (2013b). "Ritual Black Metal: Popular Music as Occult Mediation and Practice" (PDF). Correspondences: An Online Journal for the Academic Study of Western Esotericism. 1 (1): 5–33. Archived from the original (PDF) on 2014-08-19. Hanegraaff, Wouter (1996). New Age Religion and Western Culture: Esotericism in the Mirror of Secular Thought. Leiden: Brill. ISBN 978-90-04-10695-6. Hanegraaff, Wouter (2012). Esotericism and the Academy: Rejected Knowledge in Western Culture. Cambridge: Cambridge University Press. ISBN 978-0-521-19621-5. Hanegraaff, Wouter (2013a). Western Esotericism: A Guide for the Perplexed. London: Bloomsbury Press. ISBN 978-1-4411-3646-6. Hanegraaff, Wouter J. (2013b). "Textbooks and Introductions to Western Esotericism". Religion. 43 (2): 178–200. doi:10.1080/0048721x.2012.733245. Strube, Julian (2016a). Sozialismus, Katholizismus und Okkultismus im Frankreich des 19. Jahrhunderts: Die Genealogie der Schriften von Eliphas Lévi. Berlin/Boston: De Gruyter. ISBN 978-3-11-047810-5. Strube, Julian (2016b). "Socialist Religion and the Emergence of Occultism: A Genealogical Approach to Socialism and Secularization in 19th-Century France". Religion. 46 (3): 359–388. doi:10.1080/0048721X.2016.1146926. Versluis, Arthur (2007). Magic and Mysticism: An Introduction to Western Esotericism. Lanham: Rowman & Littlefield. ISBN 978-0-7425-5836-6. Von Stuckrad, Kocku (2005a). Western Esotericism: A Brief History of Secret Knowledge. Nicholas Goodrick-Clarke (translator). Durham: Acumen. ISBN 978-1-84553-033-4. Von Stuckrad, Kocku (2005b). "Western Esotericism: Towards an Integrative Model of Interpretation". Religion. 35 (2): 78–97. doi:10.1016/j.religion.2005.07.002. Faivre, Antoine (2010). Western Esotericism: A Concise History. Christine Rhone (translator). New York: SUNY Press. ISBN 978-1-4384-3377-6. Giegerich, Eric (2001). "Antoine Faivre: Studies in Esotericism". The San Francisco Jung Institute Library Journal. 20 (2): 7–25. doi:10.1525/jung.1.2001.20.2.7. Hanegraaff, Wouter J. (2015). "The Globalization of Esotericism" (PDF). Correspondences: An Online Journal for the Academic Study of Western Esotericism. 3. pp. 55–91. Aries: Journal for the Study of Western Esotericism, Leiden: Brill, since 2001. Aries Book Series: Texts and Studies in Western Esotericism, Leiden: Brill, since 2006. Wouter J. Hanegraaff, “The Study of Western Esotericism: New Approaches to Christian and Secular Culture”, in Peter Antes, Armin W. Geertz and Randi R. Warne, New Approaches to the Study of Religion, vol. I: Regional, Critical, and Historical Approaches, Berlin / New York: Walter de Gruyter, 2004, 497 p.
Wouter J. Hanegraaff (ed. ), in collaboration with Antoine Faivre, Roelof van den Broek, Jean-Pierre Brach, Dictionary of Gnosis and Western Esotericism, Leiden / Bristol: Brill, 2005, 2 vols., 1228 p. ISBN 90-04-14187-1. Kelley, James L., Anatomyzing Divinity: Studies in Science, Esotericism and Political Theology, Trine Day, 2011, 192 p., ISBN 978-1936296279. Pierre Martin, Esoterische Symbolik heute - in Alltag. Sprache und Einweihung. Basel: Edition Oriflamme, 2010, 118 p. illustrated ISBN 978-3-9523616-1-0. Wikimedia Commons has media related to Western esotericism. Look up western esotericism in Wiktionary, the free dictionary.